Since I really enjoyed Smile When Your Lying, I decided to read the most recent book by Chuck Thompson. 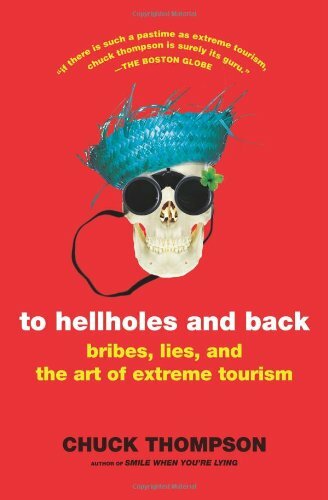 To Hellholes and Back: Bribes, Lies, and the Art of Extreme Tourism by Chuck Thompson is a must read. This book is hilarious and insightful. I’m usually the type of reader that is eager to get to my next book – due to my every growing list of books that I need to read. Not this time. I savored every page. The premise of the book is Chuck will travel to four places that he refers to as The Four Horsemen of My Apocalypse. These are places that he has avoided in his many travels. The Congo, India, Mexico City and Walt Disney World. Yes, Walt Disney World. Funny stuff. I highly recommend this book.